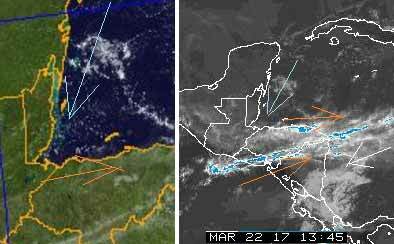 Belize NMS: Generally fair weather prevails and is expected this weekend. 24-hour forecast: Partly cloudy tonight and mostly sunny tomorrow. Showers will be isolated, with slightly more over the north tomorrrow afternoon. Winds: East to northeast 5-15 knots. Today: Winds: E-NE 5-15 kt; seas: Light chop - choppy; waves: 2-3 ft.; isolated showers except for a few north. Tomorrow: Winds: E-NE 5-15 kt; seas: Choppy; waves: 3-4 ft.; only isolated showers. Marine Outlook: Thursday night:- Winds: E-NE 5-15 kt; seas: Choppy; waves: 3-4 ft.; only isolated showers. General Outlook: For Wednesday is for generally fair weather with only isolated showers. A few showers will develop mainly over the north Wednesday night. 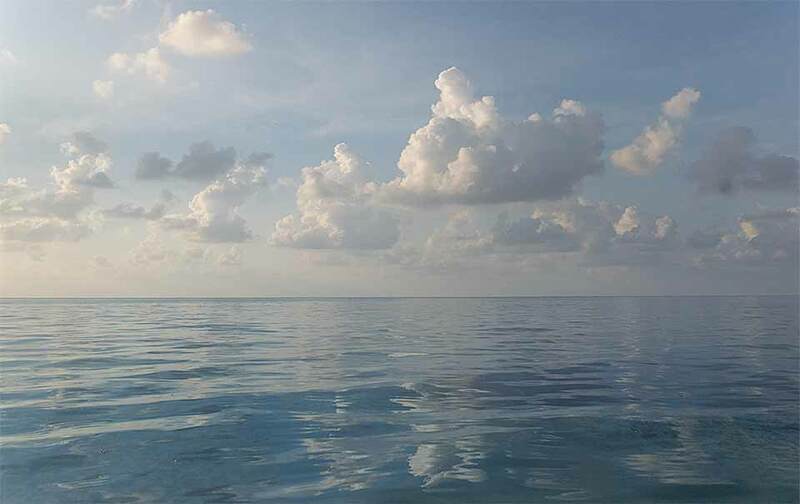 On Ambergris Caye this morning the breeze, if it can be detected, is from the North and the sea is like glass. Not the typical March weather. Our expected high is 84 f.
The cool air from the NNE continues to dominate our area, the high level ITCZ in the Pacific yesterday has generally disintegrated, but it is passing a heavy line of cloud south of Belize and some thinner cloud over Belize. 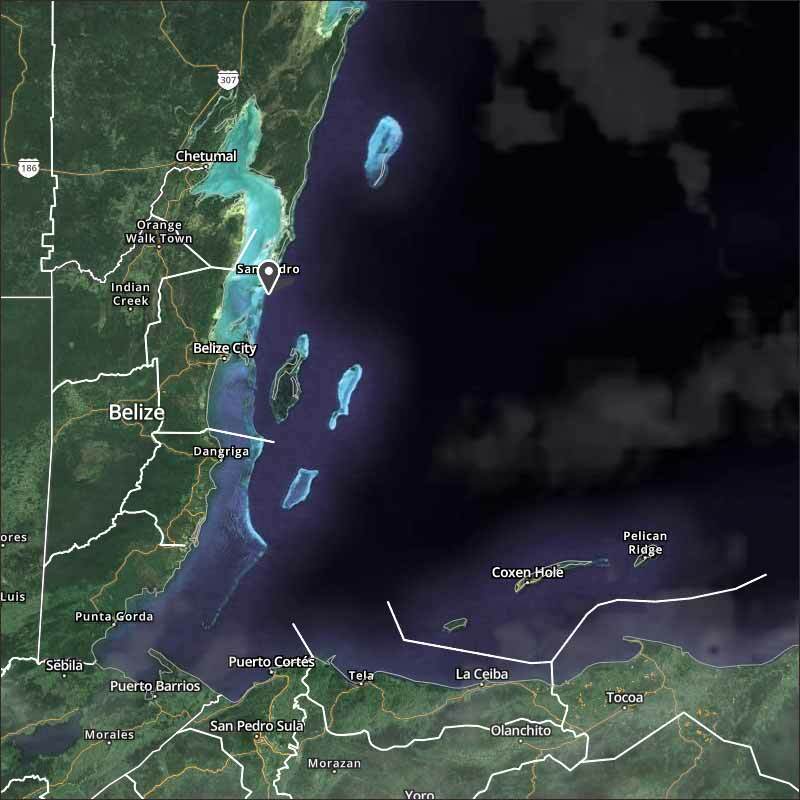 There are a few small rain showers out at sea north of Belize. Looks like today will be mainly sunny, white clouds building this morning, probably no rain on land. 2 registered members (josephinepalmer, ljdiffendal), 231 guests, and 11 spiders.